On Wednesday February 18th, the Graduate Institute of Geneva hosted the screening of the movie “Difret”. Produced by Angelina Jolie, this award-winning film tells the story of a female Ethiopian lawyer who defends a 14 year old girl charged with killing a man who, claiming to follow traditions; abducted, raped, and intended to force her into forced marriage. 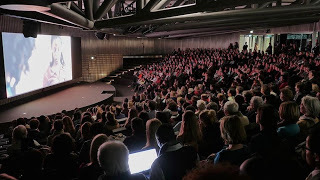 The film was screened after brief welcome remarks by Philippe Burrin, Director of the Graduate Institute, and Michael Møller, Acting Director General of the United Nations Office at Geneva. violate girl and young women´s Human Rights. It is important to underline that the Permanent Mission of Canada was a pivotal supporter of the event and echoed the sentiments of both attendants and panellists by reassuring its firm willingness to engage with those countries that wish to eradicate such practices.